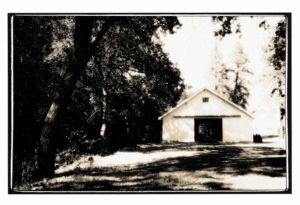 The Pines 1852 attends and hosts a number of wine events each season. We’re excited to offer more special events in the future hosted in our Tasting Room. For a complete listing of our upcoming events please see below. Come enjoy a relaxing Sunday afternoon at The Pines with a glass of fine wine and an eclectic mix of music by Hood River’s own local band known as The Old Vines. 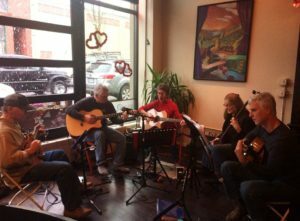 Just as wine is composed of many elements, you’ll find a musical blend of standards – folk, jazz, country and just enough blues to keep your toes tapping. Come enjoy the rock and americana styling of County Line. This local fan-favorite band puts on a spectacular show full of great rock, americana and some classics that will keep you rocking all night! Pamper Mom with an afternoon of creek side wine tasting at The Pines Estate. You’ll enjoy an al fresca experience, savoring a selection of wines paired with gourmet light bites. Seating is limited. Tickets are only $30 and are all inclusive. Please call the Tasting Room at 541-993-8301 to purchase tickets today. Come down to The Pines and help us celebrate Memorial Weekend and the release of our much anticipated Rose of Zinfandel! Enjoy a weekend of wine tasting, including a rare library reserve wine, and our new releases. Stock your cellar with your favorites for the sunshine ahead with a special 20% discount on any 6+ bottles of current vintage wines. Wine Club members receive a 30% discount. We look forward to seeing you soon! Chic Preston is one of Hood River’s favorite local musicians. 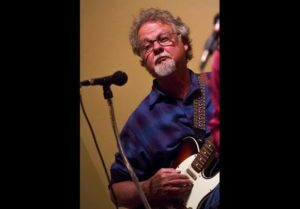 He has been playing The Gorge for many years and is a regular musician at The Pines. He plays classic rock tunes and will mix in a few original songs. Come check him out! Saturday, June 22nd 5-9 p.m.
Join us at The Pines Estate for our annual Copper Club celebration. Feast on delicious barbeque, sip on splendid wines, and dance creek side to fabulous live music by County Line. You don’t want to miss this party! All ages are welcome, please leave your pets at home. Tickets are required in advance. Tickets are only $25 for members, $35 for members’ guests and include dinner, live music, and drink tickets.